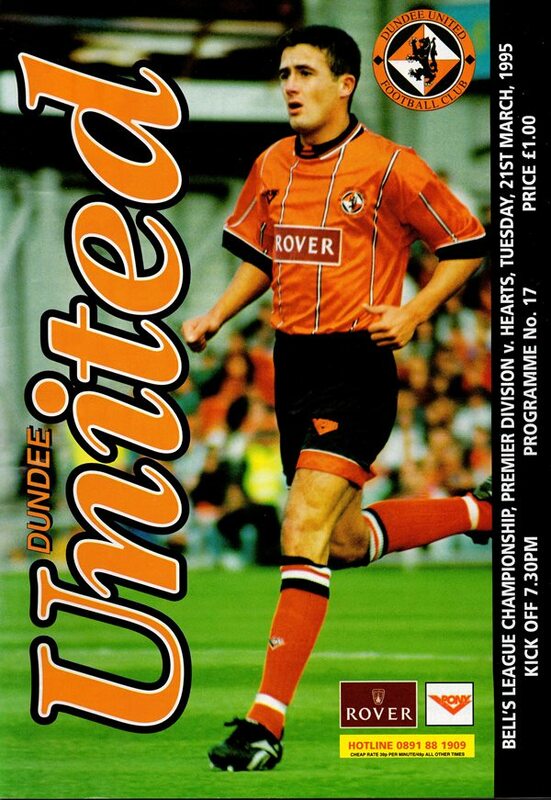 With Brian Welsh suspended, Gordon Wallace brought in Mark Perry, whilst David Craig and Craig Brewster were restored to the starting line up at the expense of David Hannah and Scott Crabbe as United tried to arrest a run of four consecutive defeats. In the end they achieved just that and once Hearts opener had been canecelted out, United might have easily have won this game! For most of the first period. United dominated play. but like hearts, rarely looked threatening. It took a rare error of judgement by skipper Maurice Malpas to break the deadlock. He was short with a pass-back which allowed Alan Johnston to hoist the ball over the advancing Kelham O'Hanlon from 12 yards to deal United's survival hopes a severe blow. Sergio, who was to retrieve the situation later in the match, had the best effort of a lack-lustre first half when he burst through in the inside right channel, but Nelson beat away his 20 yarder for a corner. Tragedy followed that corner for Stephen Frail of Hearts as he was stretchered off after damaging his knee ligaments when attempting to tackle Craig Brewster to further swell Hearts injury list. If United's goal threat had been muted before the break, they came out with all guns firing right at the start of the second period. First Sergio and then Craig Brewster sent shots whistling past both posts within a minute of the restart. Relief rang round Tannadice when United did equalise. A corner from Billy McKinlay was headed back across goal by Mark Perry to Gordan Petric whose header was blocked by Craig Brewster. but Sergio was on hand to volley the rebound home from well inside the six yard box. Although Johnston caused Tannadice hearts to flutter when he got loose on the left, he fortunately sent his shot wide of the far post and it was United who came closest to notching a winner in the remaining minutes. Only a great block by Nelson from Dave Bowman's angled drive and United's failure to squeeze home the rebound kept Hearts level. then eleven minutes from time, Craig Nelson initiated an almighty scramble in his own box when he fluffed his punch and it was tremendous relief that he managed to finally punch the ball over the bar and to safety as it babbled about in the box. But in the end, United had to be content with a point which was enough to take them out of the bottom three. Wallace stated, "We didn't play particularly well, but after equalising, we could have gone on to win it." Saturday's match at Fir Park and it is amazing how two minutes of madness can completely alter the course of a game. In the first half, we were holding the game quite well and it was essential that we maintained that grip in the opening quarter of an hour. Unfortunately, we promptly lost two quick and killer goals within the space of two minutes to give us an uphill struggle for the rest of the game. Encouragingly, however, we did come back well and in the end might have sneaked a draw. The fact we didn't was down to the loss of two bad goals and the loss of goals from set pieces is something which has scourged us all season. 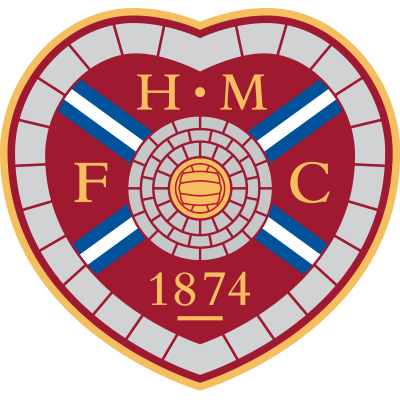 Hearts, their goals came from a free-kick and corner kick. league position, not to mention, morale. particularly in view of the results, but it does mean that five of our remaining eight games are at Tannadice. At this crucial stage, everyone connected with the club must pull together and even increase the work rate of recent weeks to get the results we require between now and the end of the season, and hopefully, we'll get off on the right footing this evening.